The property provides the most particular of guests with an exceptional environment to spend relaxing vacations. 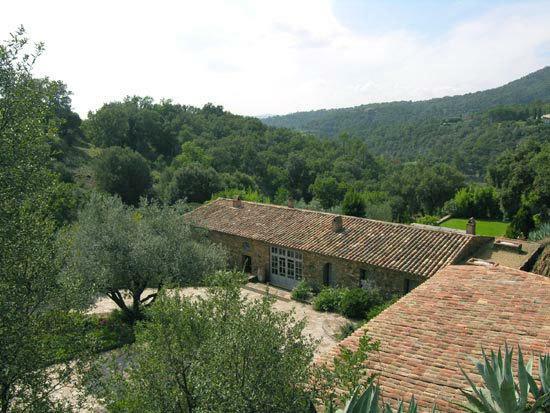 Perfect accommodation and facilities for up to 15 people in 3 separate stone houses; the main 'Mas' (a Provence region farmhouse), an adjoining 'Mazet' (small Mas) and the 'Bergerie' (shepherdhouse), all fully renovated, furnished and decorated in warm and authentic Provence style. 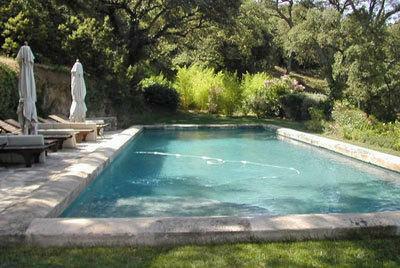 A superb 15x5m heated swimming pool, shaped as an old water basin of the region, with a large sunbathing terrace and a wooden poolhouse sheltering a cool shaded dining and sitting area. 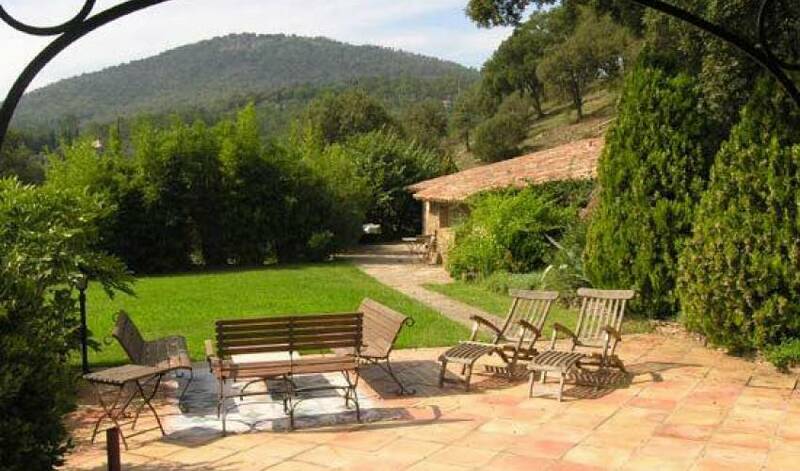 Beautiful Meditteranean nature in and around the property, including a vineyard, olive grove, flowers and lavenders around the houses, and the Maures forest (Aleppo pines, oak and chesnut trees) everywhere around it. 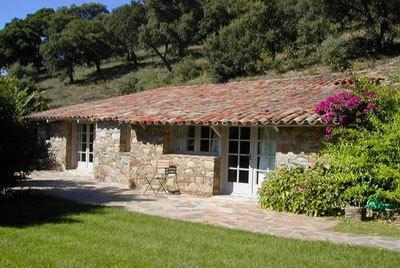 When driving into the property, you will first pass the 'Mas de l'Empiègne' (the caretaker's house) and the vineyard. After the main gate, the road leads into a small valley where the main accomodation is located. 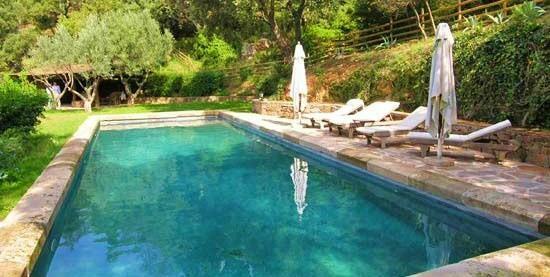 Driving down you will see the magnificent olive grove, the charming 'Bergerie', and then arrive at the main 'Mas'. The North Wing of the main 'Mas' comprises a large sitting room with a fireplace, a dining room, a study, and a modern kitchen. Adjacent to the sitting room, and accessed by two stone arches, is a large terracotta terrace surrounded by flowers and trees. The terrace includes a pergola covered outdoor dining area for up 16 people, a large stone barbecue, and an umbrella covered sitting area. The large stone walled entrance area that separates the north and south wings is ideal for those seeking a peaceful reading corner. The South Wing of the main 'Mas' comprises the master bedroom, two other double bedrooms and a smaller single bedroom, all with ensuite bathroom and airconditioning. The master bedroom also has its own fully equipped kitchenette, and a large private terracotta terrace with a reading corner, a small dining area and a jacuzzi. The 'Mazet' is a guesthouse located next to the main 'Mas'. It can be accessed either by the main Mas's terrace, or by a separate stone staircase. 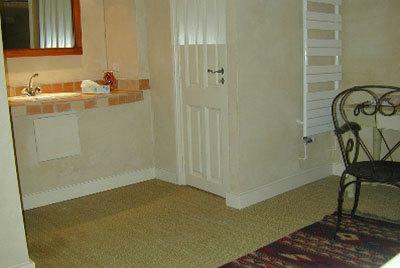 The 'Mazet' comprises 2 double bedrooms, each with an ensuite bathroom. The first bedroom also has its own kitchenette. 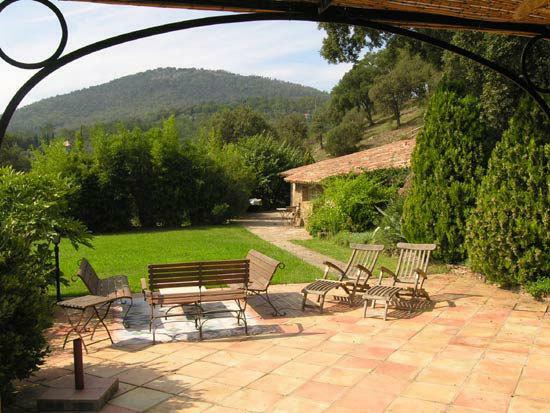 Behind the 'Mazet' is a private terrace which can be used for dining or sunbathing.The 'Bergerie' (Shepherdhouse) is an independent house some 50 m uphill from the main 'Mas' and is close to the swimming pool. 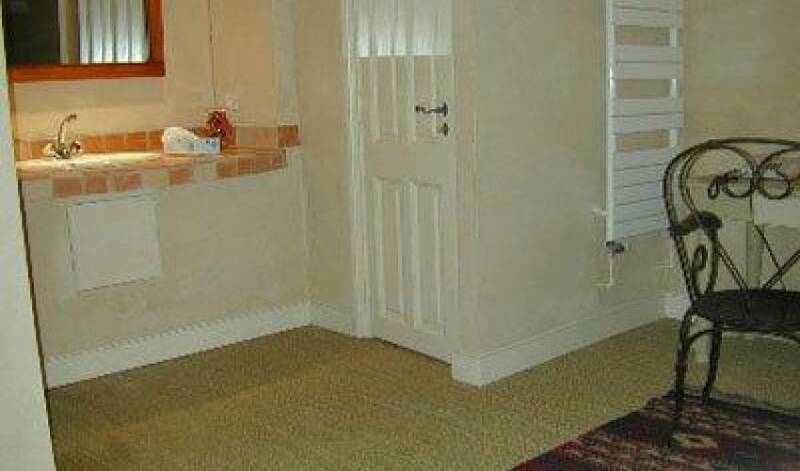 It is ideally fitted to lodge a family with 2 children. 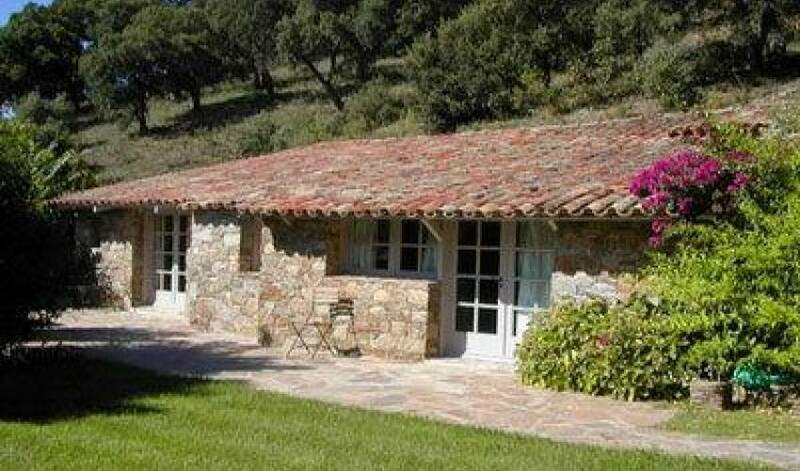 The house has two double bedrooms with toilets and bath/shower room, a very large sitting/dining room with an open kitchen, and a large fireplace in typical Provence style. 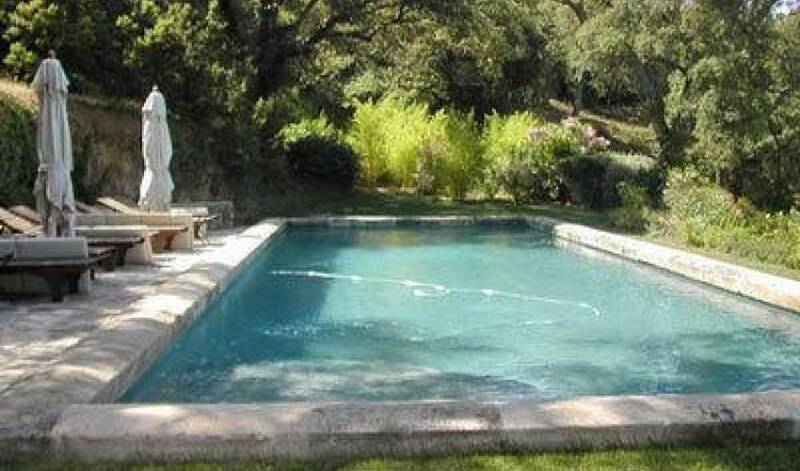 The outdoor dining terrace in front of the house has a magnificent view over the olive grove, the property and the hills nearby.The 15x5 heated swimming pool is built in the style of an old water basin and is framed with large old stones from the region. 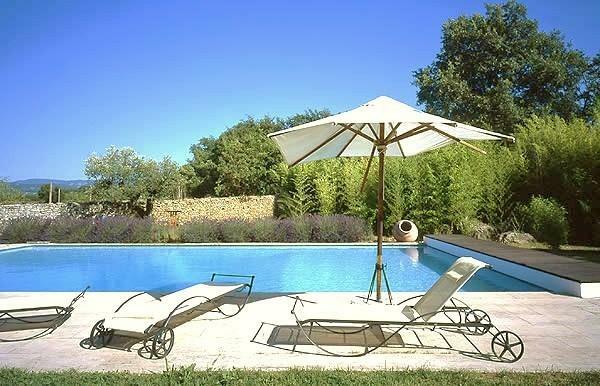 Its stone covered terrace, with 8 long deck chairs and large umbrellas, is perfectly equipped for relaxing and sunbathing. A few meters away, a large wooden poolhouse provides a comfortable shaded area. It comprises a bar with cooler, a dining area for 10, and a sitting area. 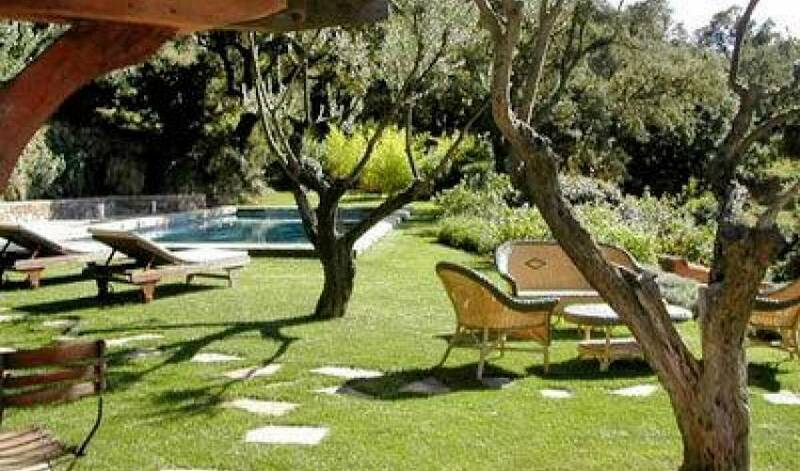 The ground around the pool and the pool house is perfectly gardened and includes olive trees, lavenders, and lots of flowers. The whole pool area is secured by a wooden fence. 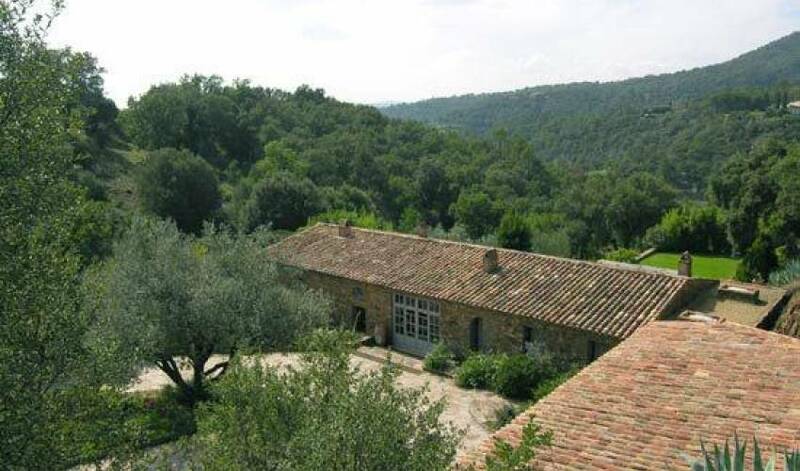 located in a little, secluded, and quiet valley of the Maures forest, between Grimaud (5 km) and La Garde-Freinet (5 km), two of the most charming and authentic perched villages in Provence, and only 15 km away from St-Tropez.